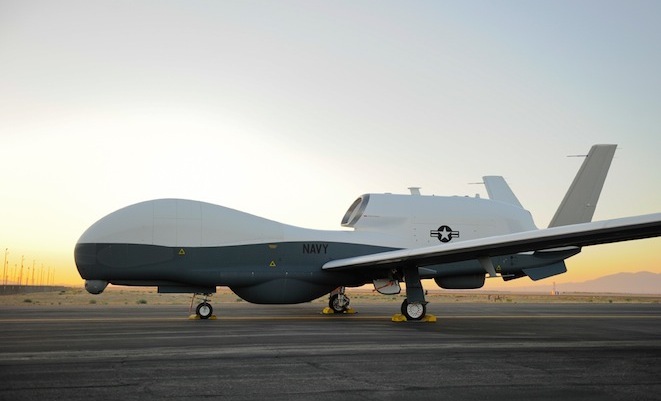 Australia is set to acquire the MQ-4C Triton from Northrop Grumman, subject to the completion of the US Navy’s development program. Prime Minister Tony Abbott committed the government to following through with the acquisition of the unmanned aircraft system, which will be based at RAAF Base Edinburgh, near Adelaide, ahead of the weekend’s South Australian state election. Neither the number of aircraft expected to be acquired under the AIR 7000 Phase 1B project nor their planned introduction into service date were specified. But these details will be considered by the government in 2016 based on the outcome of the forthcoming Defence White Paper process, Mr Abbott stated on Thursday. “This acquisition will require approximately $140 million of new facilities and infrastructure, approximately $100 million of which will be invested in South Australia,” he said. Last month, the government approved the acquisition of eight Boeing P-8A Poseidon aircraft to partially replace the RAAF’s AP-3C Orion maritime patrol platform under AIR 7000 Phase 2B. The first P-8A will be delivered in 2017 and all eight aircraft are expected to be fully operational by 2021. Like the Liberal Governtment or hate them, one thing you cant aruge with is them following through and getting these long drawn out projects ordered finally. Thus making the ADF a very modern and well equipped force. How will this work with flying an unmanned capability in civil airspace? I understand FOC is 7 years away but I think we’ve bitten off more than we can chew with this. Having leased Heron, Scan Eagle and Skylarks for a few years and buying a few Shadow systems with all only flying in restricted airspace doesn’t prepare us for this level of capability. How could CASA authorise it? Unmanned is the way if the future we just need a smaller capability jump than from Heron to Triton. But hey, let’s hope all the balls are in motion so it works because no doubt it will be an excellent asset. Busy few years ahead. I think the issue with controlled airspace will be dealt with in sufficient time. We have had Global Hawks operate out of Edinbrugh on demonstrations over the Coral Sea. Possibly they will establish corridors away from regular airline flights and altitudes. It is good to see some of these programs move forward. I only hope that the right number is brought so that we can maintain 1.5-2 aircraft on station on a regular basis and not regard this as a surge effort. Also some local comments on the internet question basing them in Adelaide as it is too far from anywhere. Maybe, but do the locals really want to close down the Airforce base? I would also like to see some more UAV’s at the lower end as this capability is almost essential now. Blacky, I have been operating in the gulf region where my aircraft 330/340and380 share the same civilian airspace as drones operated by coalition forces in the likes of Yemen, Iraq,Afghanistan and Pakistan these drones are remotely controlled from a foreign base or a remote base in the gulf…. We have not ever had a conflict with or an incident involving them. I’m sure by the time we have them op in Oz the protocols that exist today will have matured and there will be no “shared airspace” issues. Don’t get me wrong, UAV’s and manned A/C operate fine in the same airspace, I’ve seen it first hand. I just doubt our readiness to do so with such minimal exposure to such systems. I hope to be proved wrong though. 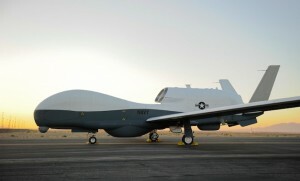 The Triton clearly has a valuable role to play in peacetime surveillance. But what about its role in wartime? What self-defence capacity will it have in contested airspace? And, given that the Triton is unarmed would it be more effective to buy more P-8A’s instead? The USN is planning on a 2:1 ratio of P-8A Poseidons to MQ-4C Tritons, and it appears that the RAAF is also now working towards that ratio – 12 Poseidons (incl. the 4 options) and 6 Tritons vs. the previous plan of 8 and 7 respectively. Seems a much more sensible solution to me.